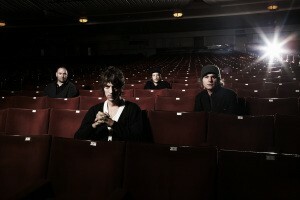 A new Verve track entitled “Mover” is available now for free download exclusively at the band’s official (and somewhat annoying) website, theverve.tv. This track will not appear on the band’s forthcoming new album, Forth, and will only be available for “official” download for one week. The first single off of Forth, entitled “Love Is Noise”, is currently streaming over at the band’s myspace page. Next Post Is Central Park Big Enough To Hold All of NJ?